Can energy plus output indoor temperature at the 1-minute frequency? 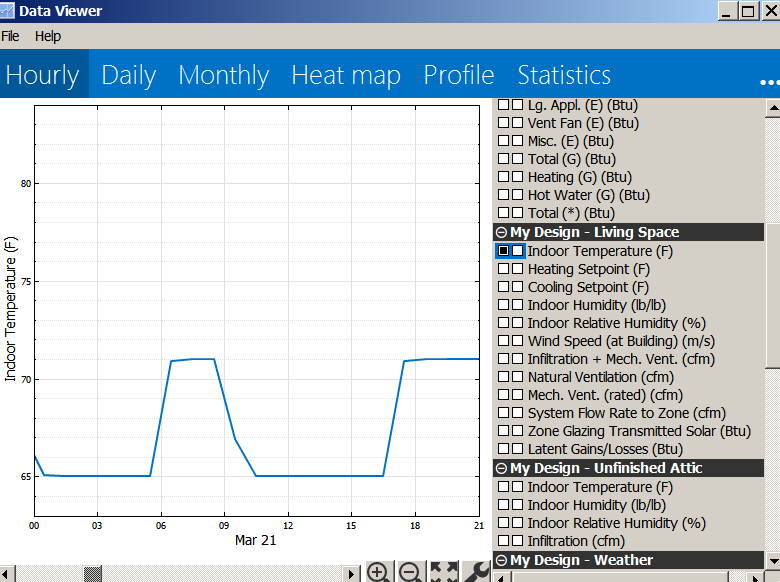 Using EnergyPlus: I am able to get hourly data of many variables and view in Data Viewer (see image below). 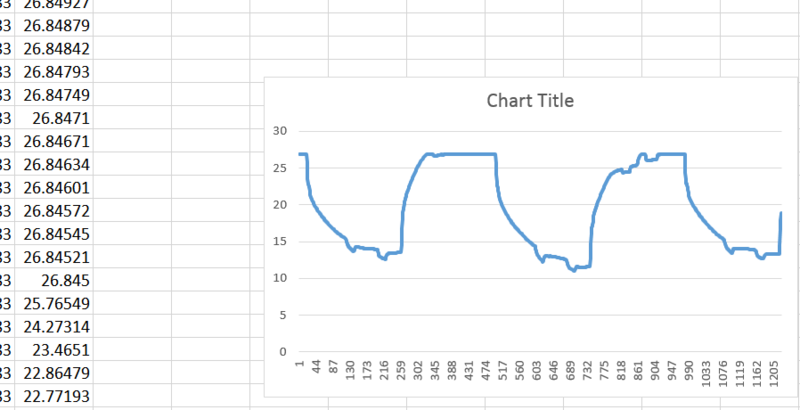 Instead of hourly, I'd like to get this data at the 1-minute or 3 minute frequency. I know that via the IDF editor, I can change the "Number of Timesteps per Hour", but this doesn't change the output. NOTE: I am using BEopt and, alternatively, directly running EnergyPlus (EP-Launch) with input files generated from BEopt. Setting the output variable reporting frequency to "Detailed" or "Timestep" should accomplish what you want. Thanks. This worked. Note to others, that when using the idf generated by BEOpt 2.4.0.1 beta, I had to convert the IDF file from 8.1.0 to 8.3.0 and then make the find/replace that David suggested. Many occupancy schedules are not entered at that high a resolution (schedules are generally hourly). The weather file has hourly data, so it will not reflect, e.g., rapid changes in cloud coverage (solar radiation) or windspeed. Thanks. My specific use case is for teaching. By showing the 1-minute timestep, students are better able to intuitively understand the heat leakages rates inherent in different designs (as specified in BEOpt). In particular, we look at the indoor temperature trend when the nighttime setback turns the HVAC system to off. Your comments on not modeling bang-bang (i.e., the indoor temperature will perfectly match the control point) and not getting sub-hourly effects (from weather or schedule) are noted and appreciated.